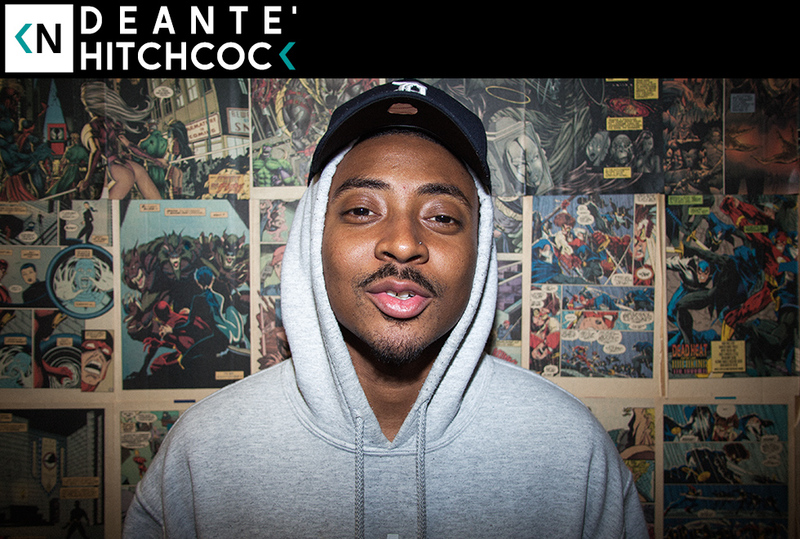 Deante’ Hitchcock’s song “No Secret” blew me away on the first listen. That led me to his slept on 2016 release “GOOD.” It’s a solid and consistent effort that slipped under a lot of people’s radar. He’s got bar-heavy heady raps any backpacker would love. But he has the confidence and swagger only a Southside Atlanta native can emit at the same time. This episode seemed to have a lot of fate involved. Days after hearing “No Secret,” a viral Twitter video of Deante’ thanking Barack Obama showed up in my timeline. That further inspired me to reach out to folks who might have his contact info. The day after I found his email address, I saw him tweet he was coming to LA. Bing bang boom, we got the episode in during his 4 day trip. Sometimes things go according to plan. After spending time with Deante‘ I’m convinced he’s got something special. He’s grounded and hardworking, an understated but magnetic performer, relatable but awe-inspiring. Turns out he’s been practicing for a while. After an uncle got him rapping in his pre-teens, he found viral success multiple times through dance vids and rap vids. So you might already subconsciously recognize him through his solid organic marketing ability. Hear us talk about those viral successes, the culture shock going to Georgia Southern University, and skating like Bow Wow.